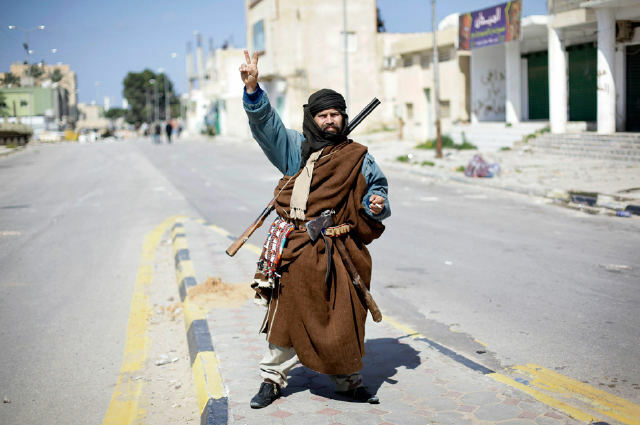 Photo of Libyan Freedom Fighter with victory sign pulled from yfrog http://yfrog.com/h7fjkqrj. Very romantic. I wish the guy was driving a tank instead of fighting with a double barreled shotgun and an axe. What courage in face of impossible odds.